Google’s I/O 2011 keynote may have suffered from a few choice leaks, namely the new Music service and Ice Cream Sandwich announcement, but Google still managed to include some surprises. Android 3.1, the update to Honeycomb, was announced along with a slew of development platforms, including one committed to bringing better introduction of accessories to Android devices of all types, and a home integration platform based on Android. First up is the update to Honecomb from 3.0 to 3.1. The update, which is being pushed out today to Motorola Xooms on Verizon, includes a number of changes and optimizations, including an improved task switcher, resizable widgets, UI improvements, and USB host and accessory support. 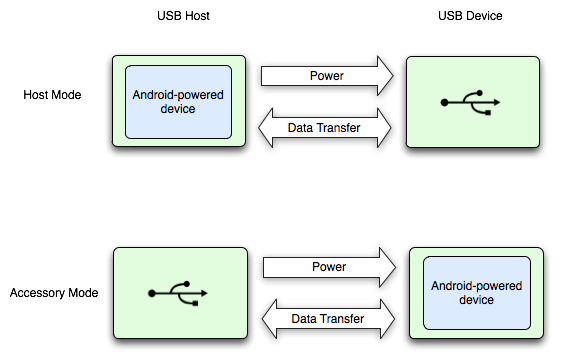 USB host mode support is a huge step forwards for making Android a versatile platform, as it enables Android devices to connect to peripherals like mice, keyboards, mass storage devices, digital cameras, audio devices, hubs, and more. USB host mode also enables gamepad and joystick support, including PS3 and Xbox 360 wired controllers, USB Logitech gamepads, fight sticks, and car controllers. Almost anything that would otherwise present itself as a USB accessory when connected to a PC will work with Android tablets. Going forwards, it's clear that Android 3.1 could quickly become a gaming platform on its own when coupled with a docking station and the existing HDMI support. A demo was shown of a Microsoft Xbox controller synced with a tablet playing a game and the feedback appeared quite fluid with minimal lag. USB accessory mode is the other side of the new USB support, whereupon connected USB hardware acts as the host. In that mode, the Android device will look for a corresponding application and launch it to allow control of the accessory. For example things like robotics, musical equipment, docks, kiosks, and other accessories are possible. Android 2.3.4 also includes support for the Open Accessory Library, though it's an optional feature for particular device manufacturers to either enable or exclude support for. The Open Accessory Library is an open platform for 3rd party hardware add-ons with no NDAs and no fees to get started. To demonstrate the openness of the Open Accessory Library, Google showed off an Arduino-based development kit that was demonstrated running an accelerometer-controlled labyrinth game - a physical wooden labyrinth weighing over 5000lbs being controlled by an Android device. As the tablet was tilted in any direction, the labyrinth mimicked the movements. Arduino devices have long been used in home automation and hardware development, and the ease of development for this platform makes it applicable to almost any imaginable device. Android 3.1 also gets some UI updates to improve intuitiveness and overall refinement of the platform. The launcher is smoother and more fluid, and navigation to and from home screens is easier - tapping home brings you to the last home screen used. WiFi also gets its own update in Android 3.1, enabling a high-speed WiFi access mode to let applications maintain high-performance WiFi sessions in the background even when the screen is off. This allows for streaming music, video, and voice applications to continue with the screen off, such as when the tablet is docked. HTTP proxy configuration per WiFI profile is also added, in addition to Preferred Network Offload (PNO) support. There are also a bunch of updates to the standard Google apps in Android 3.1. The browser gets a number of tweaks and UI changes including an extended quick control UI. The new browser also includes better web standards support. Among those include 3D CSS support, animations, CSS fixed positioning for mobile and desktop sites, and HTML5 video tag support, though it's unclear whether the mobile browser will continue Chrome's policy of only including VP8/WebM support in lieu of H.264. The browser also enables plugins to use hardware acceleration for rendering - this is an obvious shoe-in for enabling greatly improved Flash composition in websites. Likewise page zoom and rendering performance is "dramatically improved," likely due to some hardware acceleration love. The Honeycomb update is being pushed out to Motorola Xooms on Verizon, and will arrive on the Galaxy Tab 10.1 soon as well. Android 3.1 will also make its way to Google TV. Apps for Google TV will use the same Honeycomb SDK. Sony, Vizio, Logitech, and Samsung will carry 3.1 compatible devices. 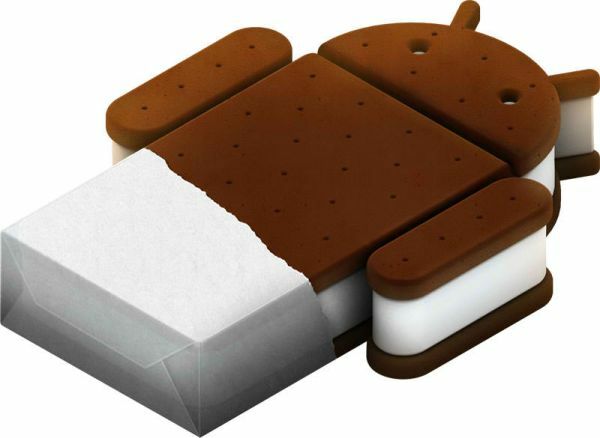 Google also officially announced the name of the next major version of Android, which will unify all of Google's platforms: Ice Cream Sandwich. The release will unify the experience by creating one consistent UI for end-users across smartphones and tablets, and make things for developers providing a unified app framework. Creating a developer environment that is entirely device independent would be a huge advance, taking the burden of optimizing apps for a particular type of device away from the developer and into the OS itself. This is an absolute must if the same apps are to be available on small, medium, large and, yes, even extra large screens. Prior to the event there was much speculation over whether Google TV, announced at I/O 2010, would have any place at this year’s event. And while not much time was devoted to it during the keynote, the answer ended up being, yes. Honeycomb 3.1 will tie together the tablet and TV platforms for Google, a logical step when you consider that both are, at present, optimized for content consumption and video based communications. 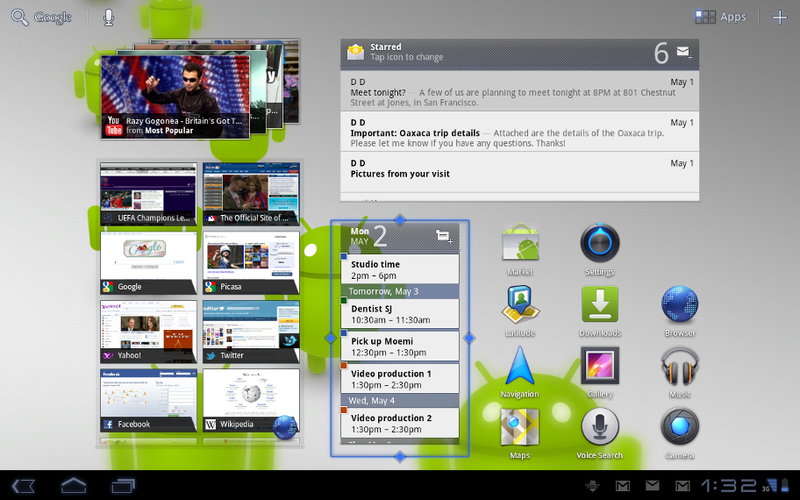 This, of course, also means that the Android Market will be coming to Google TV, at last. Google will not be leaving early adopters behind, though it announced that Samsung, Logitech and Sony would all be premiering new Google TV models in the coming months, it committed to providing the update to all devices already in the channel. And speaking of providing updates, Google is taking a stand with the Open Handset Alliance over how quickly they will get the latest updates pushed to users' devices. The result is that Verizon, HTC, Samsung, Sprint, Sony Ericsson, LG, T-mobile, Vodafone, Motorola, and AT&T have all agreed to new goals for delivering product updates. New devices will receive the latest software updates for 18 months after they are released, so long as the hardware is capable. Details on how this will be accomplished has not been worked out, said Google's Andy Rubin in a Q&A session after the keynote; but the results should, hopefully, put to rest the phrase "Android fragmentation," once and for all. With the rise of Amazon's Cloud Drive technology already in full swing, Google has not been content to sit on the sidelines and leave Anroid content delivery solely to 3rd parties. As a result Google has stepped up to the plate and announced two new content offerings: Android Market movie rentals, and Music Beta. Both services will be released initially to US based customers and will later branch internationally. 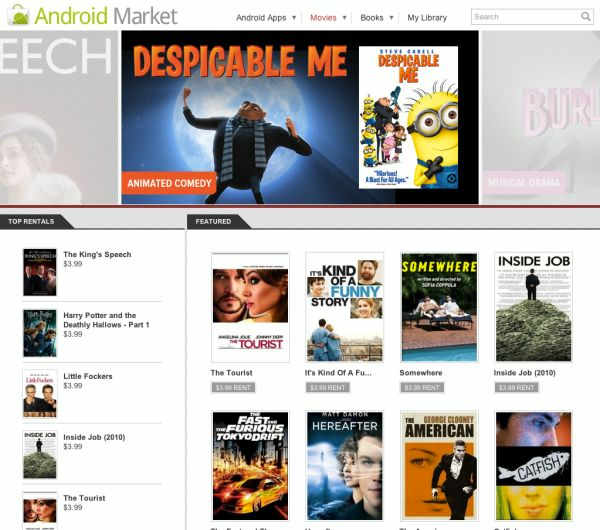 The Android Market movie rental service is going live now, and will allow 30-day rentals for as low as $1.99. Google cited a library of 1000’s of titles and garnered lots of cheers when it announced that in the coming weeks they will make the new app and service available to users of Andoid 2.2 and up. This announcement ties in nicely to yesterday's YouTube movie rental announcement, and should make updated Google TV’s that much more appealing. Quality of the rentals should be adequate on tablets and the quality on phones should be without question, but it remains to be see how the streams will fare on bigger screens given the Google TV tie-in. Meanwhile on the music front, today marks the introduction of Music Beta, Google's cloud-based music storage & streaming platform. The app will run on both PC and Mac and allow importing of iTunes and Windows music folders. A nice feature is the inclusion of playlists, albums, and artist meta information support. Searching for a song is a breeze and the new machine learning algorithm they are sporting will generate playlists as it literally listens to your music. Offline music is also promising feature because it will allow users to cache music recently played and have access to songs. Google has optimized the way cloud-based streaming works both on Froyo (2.2) and Gingerbread (2.3). The UI for handhelds is customized easier for swiping between artists, playlists, and menu selections. 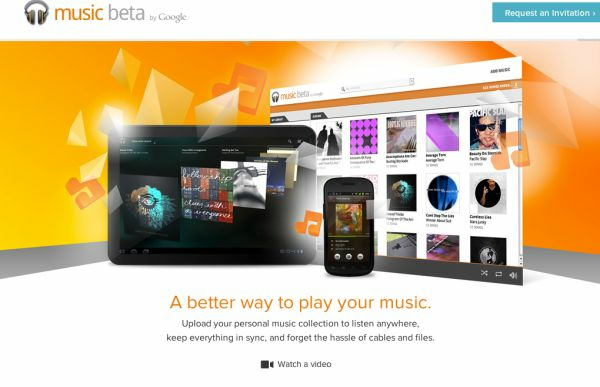 Overall there’s no denying that Google's Music Beta service bears a striking similarity to the Amazon's Cloud Drive. Google’s music offering seems to be competing in features and scale, as opposed to Amazon's integration with music sales. Instant mix features are being announced, similar to iTunes’ Genius function, but more exciting was the announcement that users will be able to upload 20,000 songs, at least during the beta. The service will be launching in beta form today at http://music.google.com, but as we mentioned earlier, is available only to US users. For any home improvement readers who have ever worked with light fixtures, this new Android initiative looks quite promising! Ice Cream Sandwich will be introducing Android@Home, a new home automation framework for Android that enables Android devices to control various household utilities. Google already has this framework up and running for Google I/O, as the floor lamps in the keynote room were integrated via Android@Home and were controlled live using switches as well as in response to some Quake III gameplay. Quite impressive actually. The cornerstone of this platform will be a new low power wireless protocol that compliant devices will need to be able to receive, and in turn future Android devices will include hardware support for. The demo'd lighting involved soon to be released LED lights that integrate the protocol. This initiative would push for integration inclusive of kitchen appliances, security and HVAC systems and media devices. Audio output was highlighted with what’s currently known as Project Tungsten. Currently demonstrated as an edge lit black cube that connects through Android@Home to the cloud and integrates with the new Music service to allow music streaming through connected speakers. Multiple Tungsten devices can be manipulated individually giving Sonos-like levels of control. Though it was likely not a live demo, Google demonstrated a second Tungsten device that included NFC reading to allow users to add music to their library by tapping NFC-tagged retail CD’s by simply tapping them to the device. A second tap begins playing the CD. If Project Tungsten takes off as a commercial product it could be the trojan horse that leads people to acquire other Android@Home devices. This will either be another home automation flash in the pan, or a rather successful initiative to fill and expand a niche market. The exciting part for developers are the opportunities this new SDK presents as we truly see a nice marriage between software and hardware. The bar has been raised and the future of creativity will hopefully yield some highly competitive and ground breaking applications in the Android Market. More coverage will follow as day two unfolds tomorrow. Stay tuned. 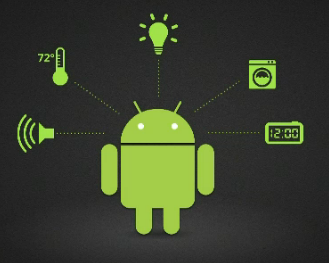 Some of the implementations of the Android at Home project were impressive. The possibilities seem endless. Yea the idea that my sleep alarms will wake me up by turning on music, turning on lights, opening the blinds.... it seems awesome. I really hope android related hardware takes off. It would be great to have more control over my devices. For the rest of the stuff, ice cream looks promising, and the 18 month guarantee is a nice gesture. An improvement to honeycomb is long overdue (so i hear) and I really hope Google TV takes off now after this. I'd like to buy one to replace my xbox which lacks a sleep timer (mainly used for netflix). As for Google Music, i opted into the Amazon MP3 cloud player as soon as it came out. I don't think google even compares just yet. Amazon offers too good of deals for purchasing music (.69 cents fa pop or the most recent songs!). They don't yet have something that compares to Apple's genius, but their upload/download software is perfect, and their synergy between devices has been flawless for me. Google still has yet to compare in this field, but seeing how they labeled it a beta, i think they realize that. All in all, i can say today i'm proud to be an android user. The rest of the year looks quite bright. Thanks for making your one page reads (like this one) g-reader friendly. I like that I could read the whole article from my modded Nook color without having to load an extra page. I guess I did click in anyway so I can post this, but you know what I mean! Mobile/reader friendly makes a big difference on whether I click further. Dailytech only shows the first sentence, then you have to load the whole page, which is not mobile friendly. I usually skip the articles when that is the case. Just Think were most people spend time. Work (Chrome Browser), Home (Tablet and Google TV), Outside (Android Phone and Tablet) but the Car had none. On the go foursquare/facabook places so you can find your friends when they have gone out somewhere new. Traffic stats so google maps can direct you or tell you that there are delays on this road. All you information about how the car is running could also be real-time recorded and sent to app to help improve you movement and the way you drive.